Multiple sources tonight tell me Ruth Bader Ginsburg is not even in DC, but in New York and preparing to step down from the Supreme Court. Lawlessness and legislating from the bench will end. THAT is what will ensue. I had no idea that she was actually young once! The terrible result of believing in Leftist, Socialist, Communist ideologies! I wasn't aware they had photography in 1789. 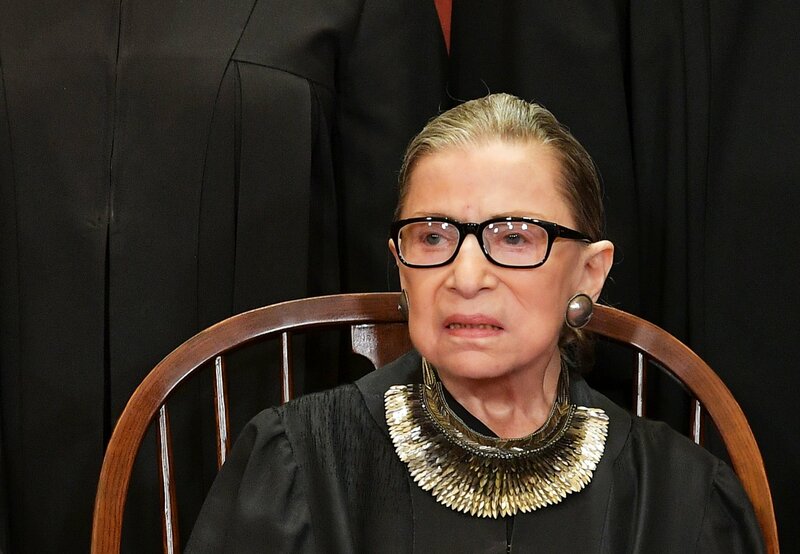 So ... RBG didn't step down? There's a reason I use the self-coined word, "Annoymorous". I've heard it wasn't lung cancer RBG was being treated for. Rumor has it she was at Disneyland's animatronics department getting a software update. H5, you beat me to it, but liberalism makes you sour and ugly.